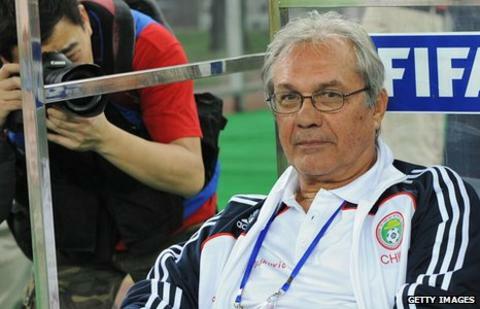 Former coach Ratomir Dujkovic is being considered for a return to take charge of Rwanda. The Serb is on a shortlist of five named by Rwanda FA president Celestin Ntagungira to replace Ghanaian Sellas Tetteh as Rwanda coach. The other four names being considered are Stephen Keshi, Patrice Neveu, Milutin 'Micho' Sredojevic and Branko Smiljanic. All the candidates have experience of coaching in Africa. Former Nigeria captain Keshi has taken charge of Togo on two occasions. Frenchman Neveu has had spells with DR Congo and Guinea. Sredojevic was recently sacked by Sudanese side Al Hilal, who reached the semi-finals of this year's African Champions League, and has coached clubs in Uganda, Ethiopia and South Africa. The highlight so far for Serb Smiljanic is leading Libyan side Al Ittihad to the semi-finals of the Champions League in 2007. Ntagungira has told BBC Sport that he expects to interview all five candidates but added he does not have a timeframe for a final decision. The Wasps failed to reach the 2012 Africa Cup of Nations finals and their next match is a 2014 World Cup qualifier against Eritrea. The first leg is on 11 November and the second leg is just four days later.